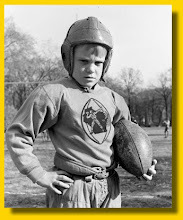 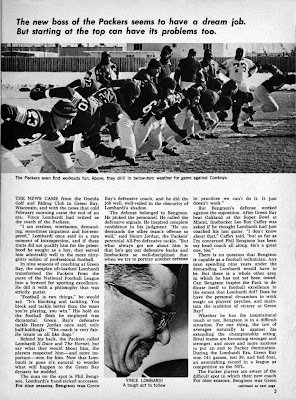 After the retirement of Vince Lombardi in February 1968, his hand-picked successor was longtime defensive coach Phil Bengston. 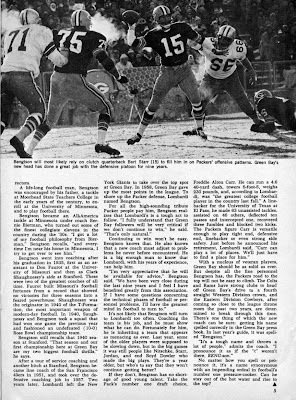 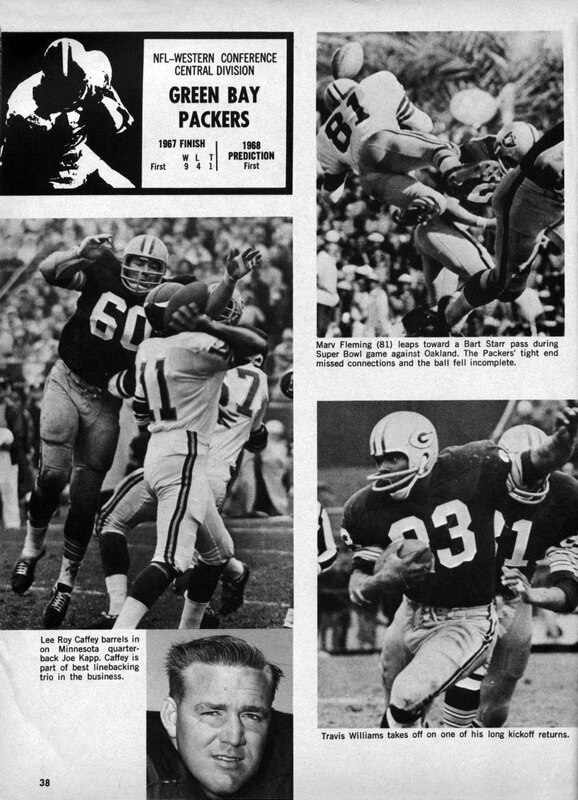 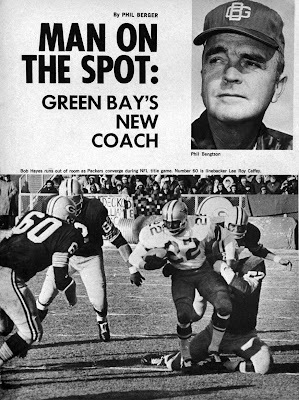 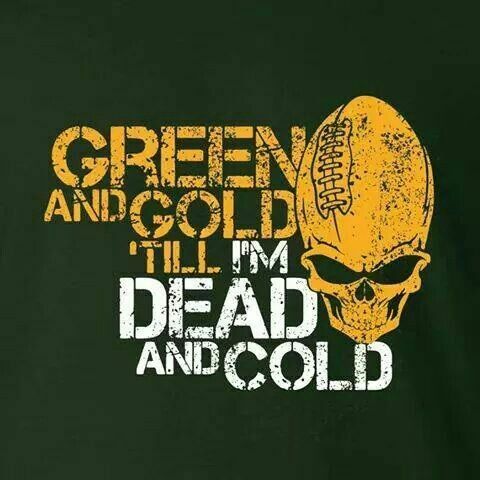 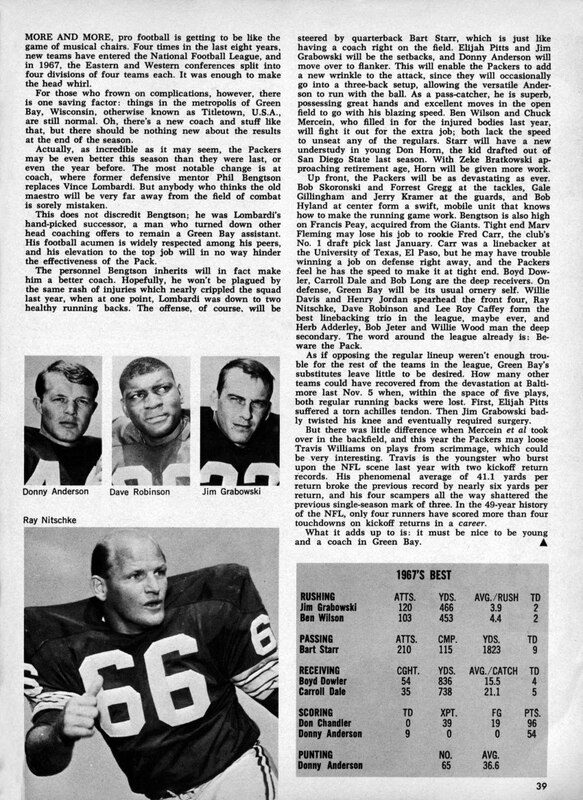 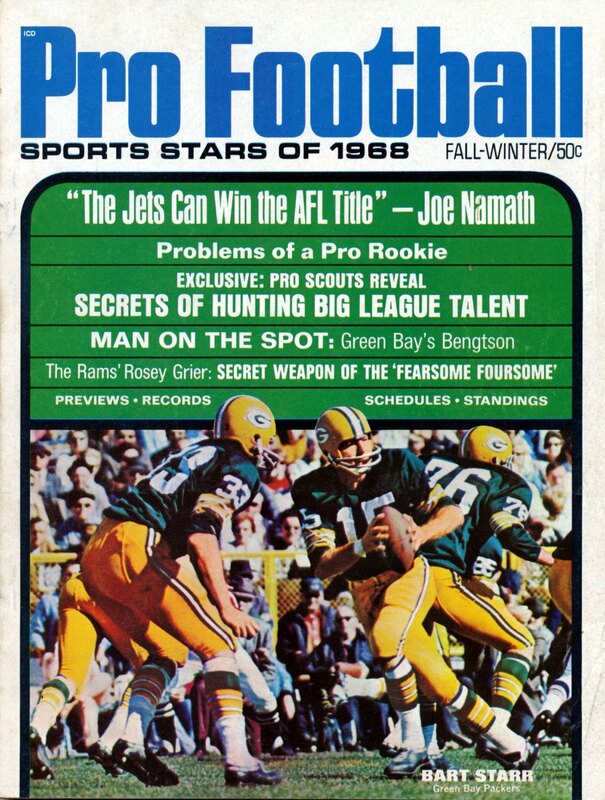 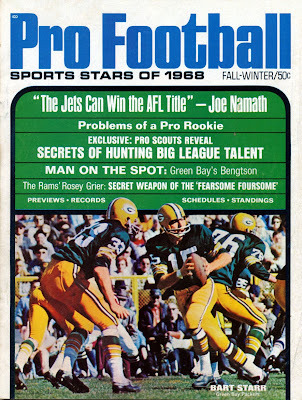 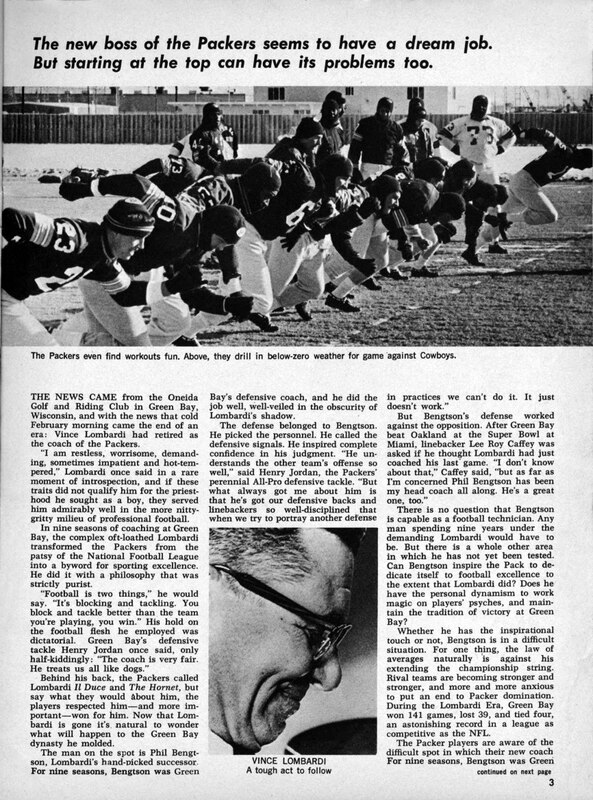 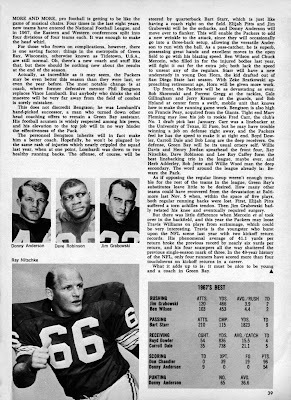 He was, as this 1968 season preview magazine stated, the “Man On The Spot.” Could Green Bay actually make a run at four straight NFL titles? 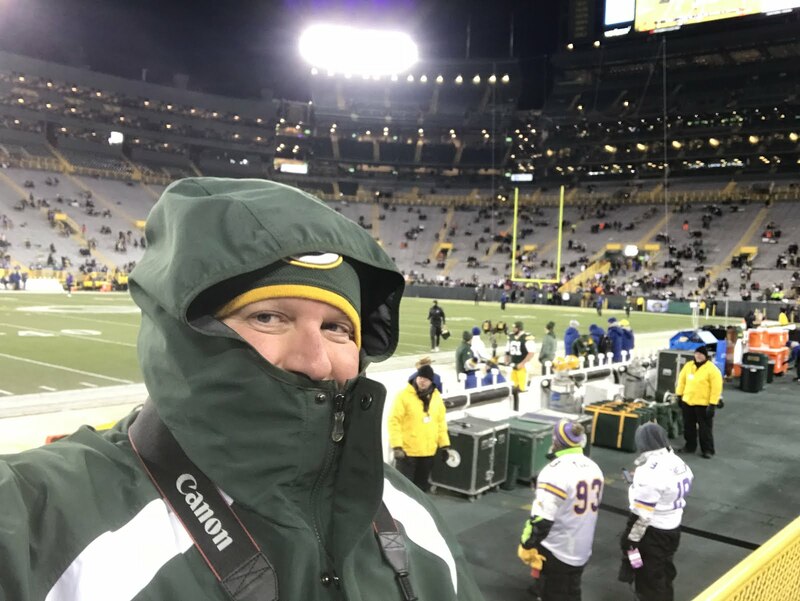 Unfortunately, the aging talent on the roster, Bengston’s coaching demeanor, and luck worked together to make sure that the championship runs of the Sixties were over. 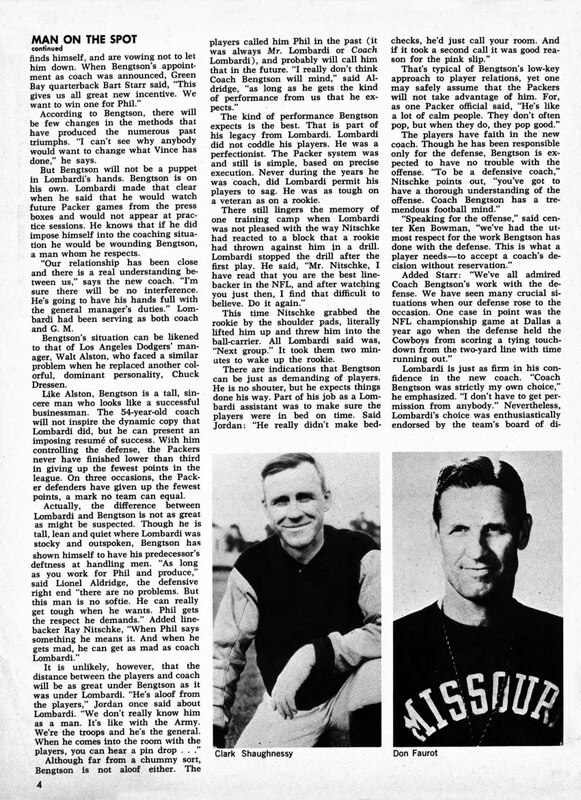 Nevertheless, enjoy this snapshot of how you would have been reading about the team in the summer of 1968.